Colonel James Marshall (1897-1977) was district engineer of the Manhattan Engineer District. Marshall earned a position in the Army Corps of Engineers during his years at West Point. When he was first contacted about working on the Manhattan Project, he was serving as district engineer in charge of all construction in New York and parts of Pennsylvania. In the summer of 1942, Marshall became head of the Manhattan Engineer District. He was informed by General Wilhelm Styer that there were four methods of producing fissile material for use in an atomic weapon, and that those methods could be developed at the cost of $90,000,000. Marshall’s first impression – one of utter skepticism – remained unchanged for the majority of the project. He disagreed with the scientists regarding the feasibility of this task given the proposed timeframe. In fact, Marshall was so adamant that he delayed site acquisition at Oak Ridge, his logic being that if Ernest Lawrence needed several years to construct a single cyclotron that was still not fully functional, it would be impossible to construct thousands of the same machines. Regardless, Marshall carried out his duties, finding funds for the project while collaborating with General Leslie Groves, and with the assistance of his hand-picked deputy, Colonel Kenneth D. Nichols. In 1943, Marshall was relieved and replaced by Nichols. He eventually received the overseas assignment he desired, serving as Assistant Chief of Staff for the United States Army Services of Supply in the Southwest Pacific Area, and was promoted to brigadier general. 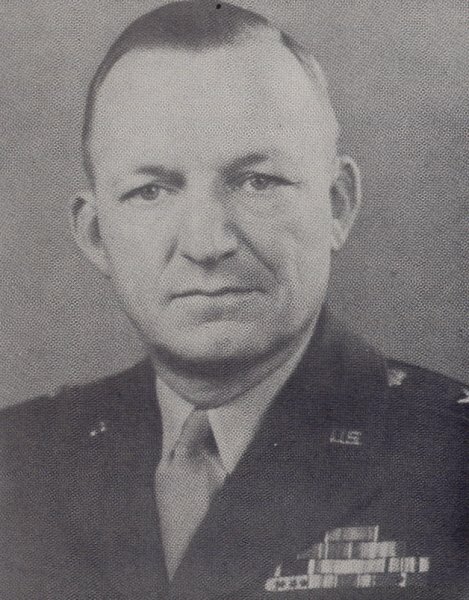 He retired from the Army in 1947, and later served as the Commissioner of Highways for the state of Minnesota. He died of cancer in 1977. 1897 Oct 15th Born in Plattsburg, Missouri. 1918 Commissioned in the U.S. Army Corps of Engineers. 1918 Jun Graduated from the United States Military Academy.